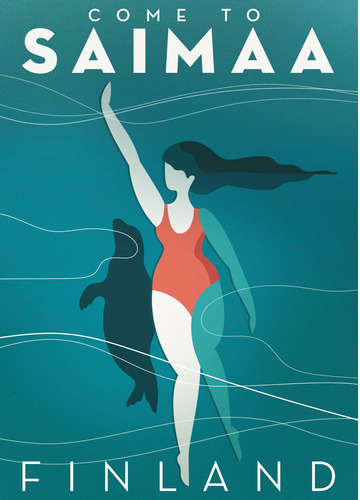 The core idea in my Come to Saimaa poster Uimarit (translated as “swimmers”) is the balance between the nature of Saimaa and the human being. In the illustration the Saimaa ringed seal swims with the person right under the surface, kind of guarded by them or as a good swimming buddy, if you like. 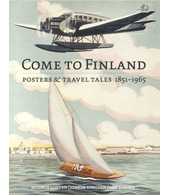 The work has a hint of the feeling of old travel posters, even though it’s done in vector graphics.